Pianos are amazing and versatile instruments, but they are also highly expensive and not everyone can afford one. Thanks to today’s technologies and the best piano VSTs, you can enjoy all the benefits of a piano without actually having to buy one and break the bank. The market for piano VSTs can be confusing, but our team of experts is here to guide you to learn all your need to understand. Without further ado, let’s take a look at what you need to know as well as the seven best piano VSTs out there on the market for next year. We found and answered a few important frequently asked questions regarding the things we believe you should know. We included questions such as what a piano VST is, how to use them, what the difficulty is of learning to master a piano VST, whether or not you can realistically learn a real traditional piano from familiarizing yourself with the VST, and what types of piano VSTs are out there. 1. What Is a Piano VST? VST stands for virtual studio technology, and it’s software that emulates the sound of a piano. In order to get the software to work, you just need an MIDI controller and a computer. Your controller can have up to 88 keys to simulate a full-sized piano. The way VSTs work is by recording real pianos in a studio. Engineers in charge of the software record all 88 keys and can even get variations by using a sampling (recording several times to get these variations). Some VSTs sound more synthetic because they create the sound of the keys through digital code that imitates the sound of the real thing. Many of the best piano VSTs can have effects and additional layers to add to the sounds, making them seem even more authentic. 2. How Do I Use the Best Piano VSTs? With your musical instrument digital interface (or MIDI) controller and your computer, you will be able to recreate piano sounds by pressing the keys on your controller. The controller sends the signal that correlates to the key you pressed to the VST software. In order to use VST, you will need a program that can host piano plug-ins (there are many software products you can use for this purpose free of charge). You’ll use the host program to play the VST plug-ins, and once you have everything set up you can press the corresponding keys on your keyboard and you’ll hear the correct notes. Most host programs can record what you’re playing and save it to your computer. You can even apply affects like reverb to make it sound even more realistic! 3. Is Piano VST Hard to Master? As with everything, it takes time. It may be confusing at first, but with practice comes familiarity. If you can, get expert help from people who are familiar with the software already and who know what they’re talking about so they can help you progress even faster. Don’t be afraid to use the Internet to help you either: it can be a very powerful tool. 4. Can I Learn Traditional Piano From a VST? The answer is a simple yet complicated: yes and no. You’ll certainly have a leg up from someone who is brand new to the concept of playing piano on any medium. Music is also the same no matter the interface. When it comes right down to it, however, generating electronic tones is a much different ball game from playing manually. You may find it difficult to translate your skills at first from VST to traditional piano playing, but the key word here is practice. 5. What Types of Piano VSTs Are There? There are only two main types of best piano VSTs, and they are sample and modeling. Sample is the most popular and most sought-after commonly used VST. The piano tones are recorded from a real piano. A skilled sound engineer with take a high-quality microphone and record each of the 88 keys individually. The second type of piano VST, modeling, has tones coded digitally from algorithms that sound similar to the piano, but are not the piano itself. Think of this as a synth; it differs in quality to an actual piano and also a sample VST. If you are looking for a realistic and authentic piano sound, your best bet is going to be the sample version. Our team spent much time and effort to bring you this unbiased best-of list featuring only the seven absolute best piano VST programs out there for the next year. We tirelessly researched different models until we narrowed it down to the best options, and we rated those options based on the following parameters: their features, their pros, their cons, their price, and where to buy them. As with most consumer products, the price range will depend on the customer’s needs and what he or she is willing to pay. The best piano VSTs can be anywhere from less than one hundred dollars to more than a thousand depending on the quality you want, the software you have and your personal preferences. For our top seven list, we only chose those items we felt had the best value for the money; you can’t go wrong picking any of the items on our list! Our overall price range for our top seven list is $125 to $480. Garritan Abbey Road Studios CFX Concert Grand features three discrete perspectives. This best piano VST sounds just like the real thing. This stellar sound comes from the well-known Yamaha CFX Concert Grand Piano from Studio One in Abbey Road Studios. Truly professional and gifted engineers recorded this piano on the best and highest-quality microphones available. It’s worth every penny because it has three discrete perspectives that all sound incredibly realistic. This best piano VST is wonderful because it is used by professionals all over. It has an impressive 10,000 sounds to check out, and its software updates just keep getting better and better. It comes along with an arpeggiator and other new effects to make it seem all the more realistic. You can even put your own audio content through this VST for extra possibilities, and it has a radically diverse and complex sound to it you’ll love. There are eight new filter types and new modulation features, too! 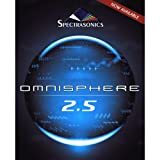 This best piano VST software is designed to mimic the effects of a full orchestra without you having to go through the hassle of getting instruments and players to create your orchestral sounds. You can hear low octave rumblings, wild overlays, chord clusters, choirs, harps, and more included in this studio! It comes along with an ARIA instrument player that is designed to resemble the complex mix of instruments. It even has a few orchestral effects you’d recognize from the movies. 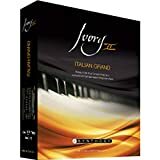 This best piano VST is truly the best of its kind because engineers went through testing ten different pianos before selecting the best one out of the bunch and using it to sample for the collection of its Addictive Keys model. This program will bring you filters, EQ filters, reverb, distortion, tremolo, chorus, and many more aspects. This comes with the advantage of MyCloud technology that allows you to connect your VST and work from virtually anywhere. It will automatically synchronize your work no matter which device you use and it allows you to work on the go while still keeping everything you’ve worked on organized and safe. 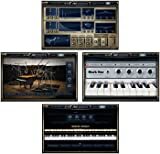 This best piano VST offers a wide selection of sounds in its library. It has a whopping 28 GB of samples to choose from and there are virtually no limits to what you can do with this amazing software! It offers Sample Interpolation Technology which allows you up to 18 different velocity layers and the Harmonic Resonance Model produces realistic sympathetic string resonance for a realistic string section right on your computer. This model is perfect for those who are looking for a simple playback acoustic sound to their piano. The 32-bit sample playback and DSP engine successfully emulate an acoustic piano that sounds heavenly to the ears. The samples were sourced all the way from Italy, too. 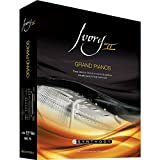 This best piano VST software includes samples from four different high-quality hand-selected pianos. You’ll love the powerful and diverse sounds you have at your fingertips thanks to the 84 GB library and up to 16 velocity layers. It also boasts Harmonic Resonance Modeling and DSP engine, and the four pianos include the Yamaha u5 Modern Upright, Hume Vintage Upright, and Barroom Upright. These were carefully chosen to give you a rich, vintage sound that’s loved by all musicians looking for blues, jazz, or even slow rock. This best piano VST features a user-friendly interface that anyone can use. It comes along with Sympathetic String Resonance, which makes it highly sought-after and revered. It uses a new custom engine instead of ordinary sine waves thanks to the genius of the engineers at Synthology. You’ll hardly notice a difference between the sweet notes of this best piano VST and a traditional acoustic piano! We hope our list of the seven best piano VSTs on the market for 2019 has given you a few substantial options for your next virtual piano experience. Our professional recommendation for you is to go with the Synthology Ivory II Upright Pianos model. it features samples from four different upright pianos of high caliber and quality, diverse sounds that you’ll love and will sound exactly like the real thing, 84 GB of a library for you to scroll through, and up to 16 velocity layers. Check it out on Amazon today!